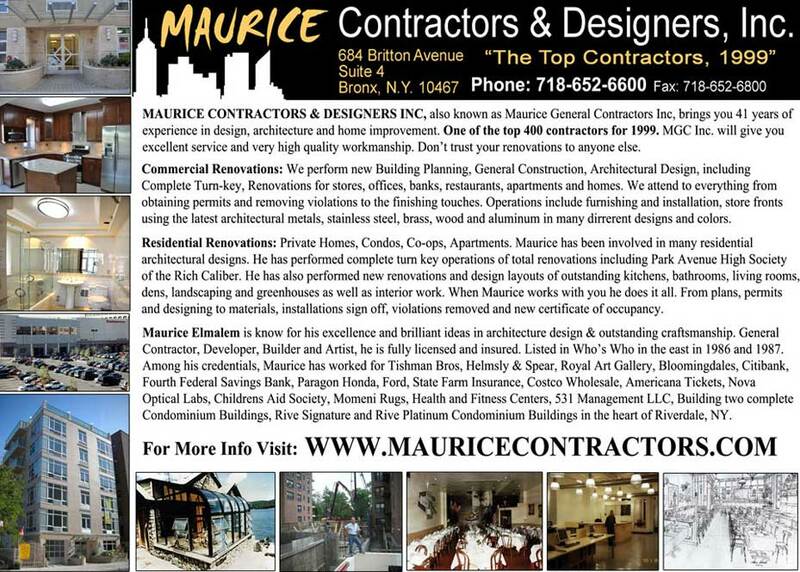 Overview – Maurice Contractors & Designers, Inc.
Maurice General Contractors, Inc., also known as Maurice Contractors & Designers, Inc., brings you 31 years of experience in design, architecture and home improvement. If you need to bring an older property back to life, you need Maurice Contractors & Designers, Inc. One of the top 400 contractors for 1999, Maurice Contractors & Designers, Inc. will give you excellent service and very high-quality workmanship. Don’t trust your renovations to anyone else! The president and owner, Maurice Elmalem, has a considerable talent for achieving the natural style of living using the latest architectural designs and products. Maurice’s work includes commercial services and home improvements. Consult with MauriceContractors & Designers, Inc. for work within the general categories of stores, restaurants, offices, homes, and apartments. We make old buildings look like new! Please contact us for more information. Maurice Elmalem holds a B.A. degree in Engineering and Architecture from Columbia University. He is fully licensed by the New York City Consumer Department and by the Building Expediting Department. He was listed in “Who’s Who in the East” in 1986 and 1987, where he was cited for his outstanding contributions to architectural design. 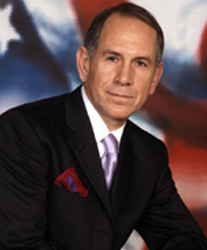 Among his credentials, Maurice has worked for companies such as Tishman Bros. and Helmsley & Spear. He was involved in the opening of the Helmsley Palace Hotel. Some of Maurice’s work may be seen at the prestigious Royal Athena Art Gallery at 57th Street in New York City, as well as Bloomingdale’s interior decorating department, several Citibank locations, Fourth Federal Savings Banks, and many other commercial projects. These include the Paragon Honda showroom and the Union Building main and lobby entrances. Also businesses such as State Farm Insurance Bronx Center, Costco Wholesale Center, American Tickets Headquarters (45th St. Times Square N.Y.C. 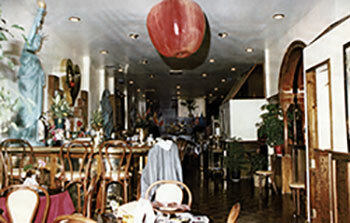 ), Health and Fitness Center, Momeni, Rug Showroom, Nova Optical Labs and many retail stores such as jewelry, electronics, furniture and general merchandise as well as attorneys, doctors, dentists and overall use offices, daycare & children centers have benefited from Maurice’s craftsmanship and design talents. Restaurants have also benefited from Maurice Elmalem’s talents. They include the New Yorker Restaurant at 3rd Avenue and 78th Street, the Baci Restaurant on Amsterdam Avenue, Benihana of Tokyo, and Captain Nemo’s Restaurant, Gino’s, Champion Chicken and many pizza/delicatessen stores. The list also includes photo and eye glass stores, drug stores & pharmacies, VIP Community Centers, medical centers, attorneys, doctors, dentists and overall use offices. 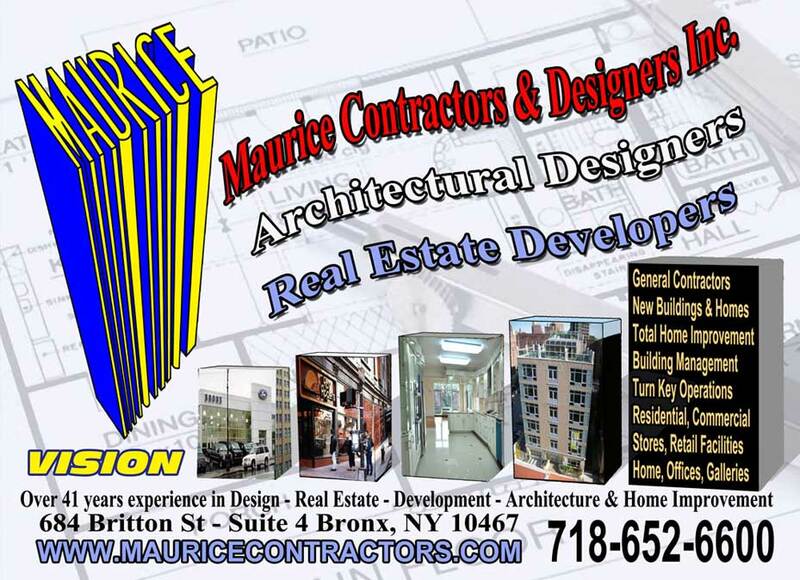 Maurice has been involved in many residential architectural designs. He has performed complete turnkey operations of total apartment renovations, including Park Avenue High Society of the Rich Caliber, cooperatives, condominiums, and houses. He has also performed new renovations and design layouts of basements, kitchens, bathrooms, living rooms, dens, and greenhouses, as well as interior and exterior work. When Maurice works with you, he does it all—from plans, permits, and designing to materials, installations, sign off, violations removed and new certificate of occupancy.